In the last issue of Findings, we focused on our students who were commencing their post-graduate careers and lives. In this issue, we thought we'd give you a better sense of what our current students are up to. In the academic year that begins this month with the arrival of our 2014 cohort, we're offering one of our broadest slates of courses ever. Take a look at some of our new classes and see what dynamic faculty from across RAND's offices are teaching our students. In addition to a look inside the school, we've taken yet another opportunity to fill you in, and brag just a bit, about our latest graduates, our recognition of founding dean Charles Wolf, and the recent recognition and position changes of our distinguished alumni. Stay in touch and we'll keep you informed! One of Pardee RAND's leading traits is its analytic dexterity. And so it is no surprise that faculty members and RAND researchers submitted over 20 new elective course ideas over the last several months. The box below lists the courses that made the cut and will augment students' policy tool belt this year. Courses will be taught in multiple formats with professors and guest speakers across RAND locations. Full course descriptions of these new courses — and all of our courses — are available online. Remember those grueling tests? Qualifying exams at Pardee RAND have changed a bit over the years and we thought we'd give you a brief study session. Previously, qualifying exams were given after the second year of the program; they now take place directly after completion of the first-year curriculum. Each July, first-year students take 3 all-day written exams over the course of a week. The exams cover microeconomics (Friday), empirical analysis (Monday), and policy analysis (Wednesday). Those who do not pass one or more of the written exams have a chance to demonstrate their competence in oral exam(s) taken the following Friday. After completing their qualifying exams, students enter the "First Year Review" in which a committee of the three Deans and three faculty members assess each first-year student's progress to date. All students provide a self-assessment, and the committee provides written feedback on each student's performance on coursework, qualifying exams, and on-the-job training. New this year is a "Second Year Review" provided after the second year and, starting in 2015, a "Third Year Review" will also follow. The results have been significant. Students are able to start to formulate and conceptualize dissertations much earlier alongside their elective coursework. The milestones and support clarify and help structure the dissertation process with the intent to help students complete the program strongly and more quickly. Alumni will certainly remember beach volleyball and lunchtime RecCom board games in the common room of the "old building." These traditions continue, with a twist. 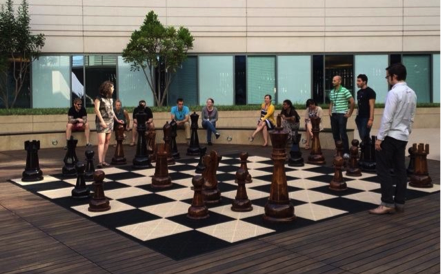 Pardee RAND students (and RAND staff) can now challenge each other to table tennis tournaments or larger-than-life chess games in the first floor courtyard. The two games were installed in July and were used frequently over the summer. They will undoubtedly offer our new students another outlet for relaxation as the year begins. If you know of any passionate and bright prospective Pardee RAND students, through work or other networks, please send them our way! More information about the application process, upcoming online and in-person information sessions, and timelines is available online. The deadline to apply is January 8, 2015. 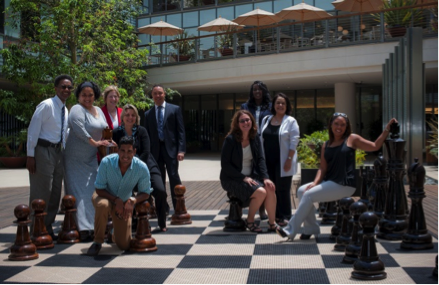 Even in the summer, Pardee RAND students have been busy collaborating on RAND reports and journal articles. Below is a sampling of recent releases; a full list of student-authored research is available online. Lopamudra Das (cohort '08), along with RAND Health colleagues, wrote a highly publicized (CNN, ABC, NBC, Fox, LA Times...) comprehensive review of the research regarding vaccines in a Pediatrics article, Safety of Vaccines Used for Routine Immunization of US Children: A Systematic Review. Another report on vaccines and the entire population (not just children) was also published by the Agency for Healthcare Research and Quality: Safety of Vaccines Used for Routine Immunization in the United States. Nelly Mejia (cohort '11) and colleagues in RAND Labor & Population suggest in Geographic Targeting in Urban Areas: A Social-Welfare Program for Older People in Mexico that countries with rapidly aging populations, like Mexico, need to develop specific socioeconomic indicators for the elderly before they can target programs successfully. Leslie Mullins (cohort '12) and RAND Health colleagues explored the possibilities and challenges of Providing Smoking Cessation Programs to Homeless Youth in Los Angeles; their findings were published in the Journal of Substance Abuse Treatment. 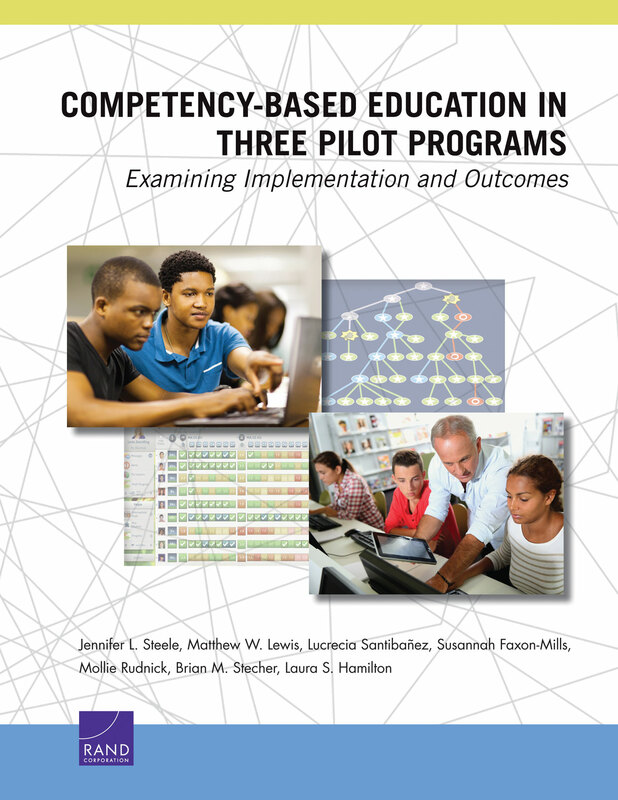 Mollie Rudnick (cohort '11) and colleagues in RAND Education examined the implementation and outcomes of Competency-Based Education in Three Pilot Programs and shared their findings with the Bill and Melinda Gates Foundation, which had funded the pilots and requested the evaluation. 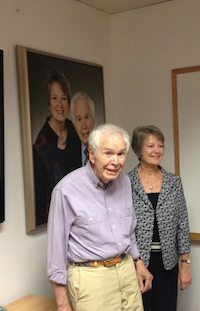 Honoring Founding Dean Dr. Charles Wolf, Jr. 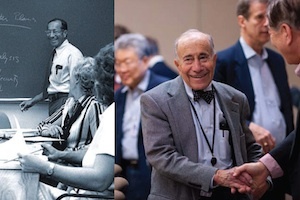 In honor of our long affiliation with Dr. Charles Wolf, Jr. — renowned economist, researcher, advisor to business and governments, educator, and tennis competitor nonpareil — the Pardee RAND Graduate School has established a special way for friends, supporters, colleagues, and alumni to express their deepest appreciation for him. Please join us in saying "Omedetou gozaimasu, Dr. Wolf." The idea of establishing a graduate school at RAND was a bold experiment when Charles was first approached to take charge of this new venture in 1970. But no one was more committed to bringing high-quality research and analysis to policymakers, and to training future generations of policy leaders, than Charles. And now, almost 45 years later, Pardee RAND — the only public policy graduate program specializing in the doctorate degree and the only one based at a public policy research organization — has grown into a preeminent school that provides a unique educational experience for a select group of students from around the world. As founding dean, he helped form Pardee RAND into the esteemed institution it is today, building its reputation and that of RAND itself through his prominence as wise strategist to leaders in business, academia, and public policy. If you haven't already participated, you can make your gift now to the Charles Wolf, Jr. Endowed Tribute Fund and leave a personal message for Dr. Wolf in the comments section. Alumnus Peter deLeon (cohort '71) and his wife Linda received a tremendous honor for their immeasurable contributions mentoring and supporting students, authoring numerous influential policy books and articles, and their service as faculty of the School of Public Affairs at the University of Colorado Denver over several decades. 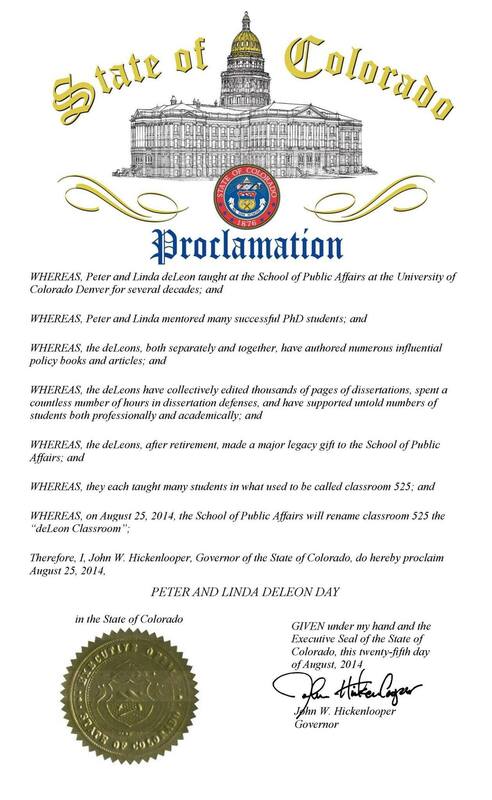 Governor Hickenlooper proclaimed Monday, August 25, 2014, to be Peter and Linda deLeon Day in Colorado! Congratulations, Peter and Linda, for this exciting and unique honor and for truly living the Pardee RAND motto, Be the Answer. It was great to see so many alumni at Commencement this year! Many thanks to Jordan's wife, Yael Silk, for this photo! Sharon Arnold (cohort '85) is now deputy director at the Agency for Healthcare Research and Quality (AHRQ) at the U.S. Department of Health and Human Services. Andrea Biddle (cohort '86) is now executive director at Health Research Alliance, Inc. in Research Triangle Park, N.C.
Ying Liu (cohort '04) is now senior manager, global market access at Biogen Idec, Inc.
Kartika Palar (cohort '06) is now a postdoctoral researcher, division of HIV/AIDS, at the University of California, San Francisco Department of Medicine. Daniel Waxman (cohort '10) is now visiting associate professor in emergency medicine at UCLA in addition to being a natural scientist at RAND. 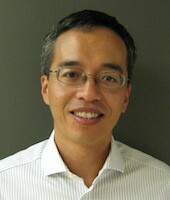 Feng Zeng (cohort '98) is now director of healthcare economics and analytics at West Health in San Diego. 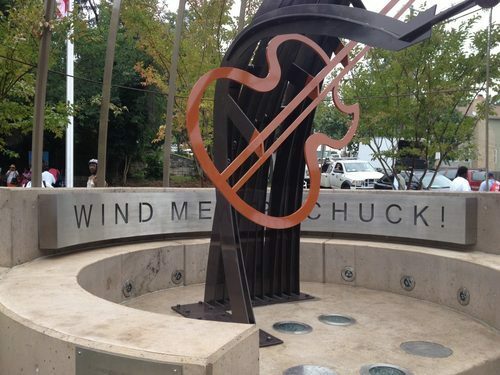 Proving that Pardee RAND alum are multitalented, a public sculpture by Jackie Braitman (cohort '78) was unveiled in Washington, D.C.'s new Chuck Brown Memorial Park. Arthur Brooks (cohort '96) was interviewed on Bill Moyers in a July show entitled "The Conscience of a Compassionate Conservative." Angela Hawken (cohort '98), participated in a Q & A-style interview about Hawaii's Opportunity Probation with Enforcement, a program she evaluated. "We have seen small-scale trials on the mainland that suggest the approach can reduce drug use and violating behavior — but only if the model's key features are implemented with fidelity: swift, certain and proportionate sanctions." In another Q & A-style interview, Athar Osama (cohort '99) sheds some light on how some of the most innovative minds in Pakistan have come together to solve the country's educational crisis via a "learning innovation hackathon." Jack Riley (cohort '88) testified before the U.S. House Science, Space, and Technology Committee, Subcommittee on Research and Technology and Subcommittee on Oversight on July 31, discussing Strategic Planning for Border Security. Riley also wrote a commentary in the Cincinnati Enquirer relating events in Ferguson, Mo., to his experience conducting research for the Cincinnati police: Data Key to Tackling Racial Profiling in Ferguson. David An (cohort '10); dissertation: Critical Rare Earths, National Security, and U.S.-China Interactions: A Portfolio Approach to Dysprosium Policy Design. He is now a strategic planner at Northrup Grumman Corporation. Mike Scarpati (cohort '10); dissertation: Designing Efficient Systematic Reviews Using Economical Allocation, Creation and Synthesis of Medical Evidence. He is now an algorithm and R&D scientist engineer at the American International Group (AIG) in New York City. Ethan Scherer (cohort '07); dissertation: Three Essays on Education Reform in the United States. He is now an associate economist at Precision Health in Boston. Nolan Sweeney (cohort '11); dissertation: Predicting Active Duty Air Force Pilot Attrition Given an Anticipated Increase in Major Airline Pilot Hiring. His next step is jet pilot training at Sheppard Air Force Base. As part of a continuing vision to ensure that a diversity of perspectives is represented at all levels of public policymaking, Pardee RAND hosted its second annual Summer Faculty Workshop in Policy Research and Analysis. Twelve guest faculty from institutions serving a large proportion of underrepresented minorities, primarily in the southeastern U.S., visited Santa Monica July 21-25. Throughout the week, participants applied concepts from workshop course modules to a wide array of policy issues, with guidance and feedback from policy researchers in areas of common interest. 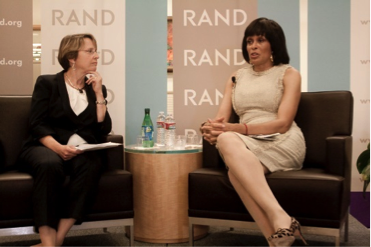 Pardee RAND board member Faye Wattleton delivered the workshop's keynote address. The goal of the workshop was to enable participants, who have already distinguished themselves in such fields as medicine, public health, and political science, to learn useful skills they can apply to their current research, to inspire their own students to consider careers in public service, and to help RAND strengthen ties to their institutions especially in the Southeast. Additionally, faculty members bring public policy and policy analysis into their classrooms, regardless of their discipline, thus introducing undergraduates to this field and these tools. September 18: Dean's Lunch in D.C.
Dean Marquis will be in Washington, D.C., on Thursday, September 18, and would like to invite you to join her for lunch if you will be in town. If you would like to attend, please email Evelyn Fees. Carol Graham of Brookings and the University of Maryland begins IDSS's season on October 17 by exploring what we know about the determinants of happiness and will then present both the promise and the potential pitfalls of injecting the "economics of happiness" into public policymaking. November 6-8: Join Pardee RAND at APPAM in Albuquerque, N.M. Associate Dean Rachel Swanger, a member of the APPAM Policy Council, will be at the Fall Research Conference in New Mexico, along with several Pardee RAND students and professors. Pardee RAND will be hosting a reception. Stay tuned for more details. We hope to see you there!